My Sunday Photo; Celebrating with Cake! Myself and fellow blogger Lucy from London Bird Lucy were celebrating this week, after our Domain Authority scores went up. For non-bloggers, it's a measurement of how well our blogs are doing, so an increase is always warmly welcomed! I love this photo, not just because it has cake in it, although that is a factor. 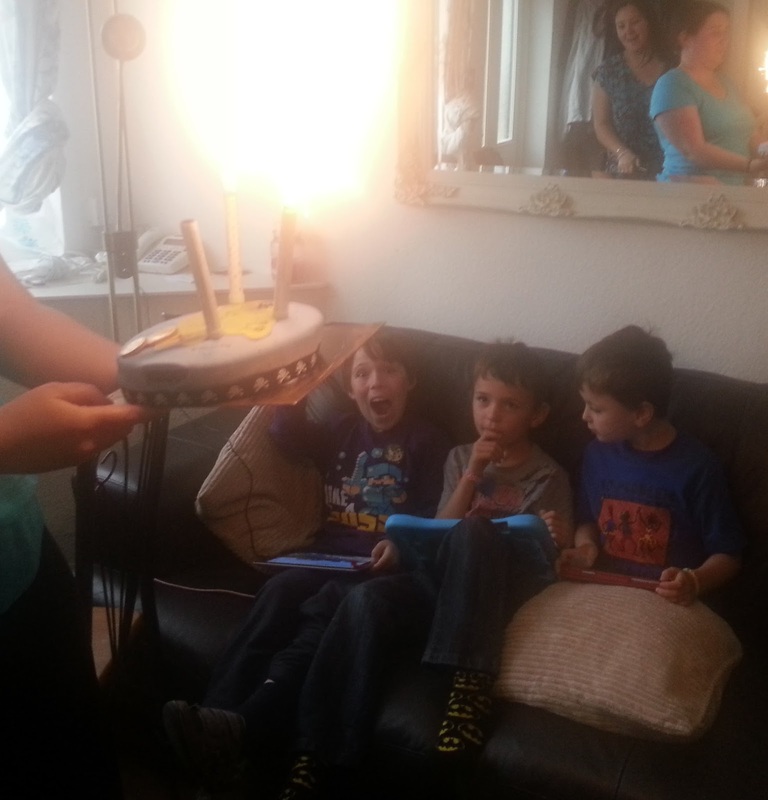 It's the row of small boys and their completely different reactions to the realisation that I just set fire to their cake! They range from unbridled glee, through sensible trepidation, right the way to 'I have an iPad and I do not care, until I am eating it!'. Children are awesome! It's was lovely to see you and your fabulous family, the cake was so tasty. I love Lukes face, your so right he does look so similar to Jake! Sunday Photo: Huge Ice Cream, Big Smile! Sunday Photo; Making a Run for It! My Sunday Photo; Infinite Possibilities!